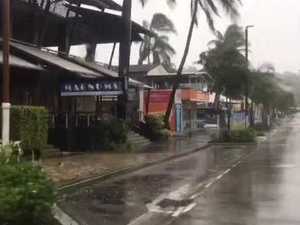 High winds and rain have hit Hamilton Island. News CYCLONE Debbie was like "bloody mayhem". That is the way one Hamilton Island holidaymaker described it. Weather CYCLONE Debbie has made landfall between Bowen and Airlie Beach, after smashing Hamilton Island. 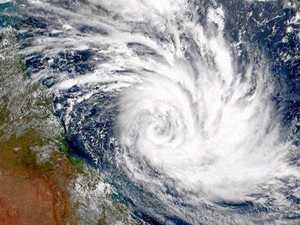 News IF you have booked a dream trip to the Whitsundays and surrounds for the school holidays, here's what you need to know as Cyclone Debbie threatens. 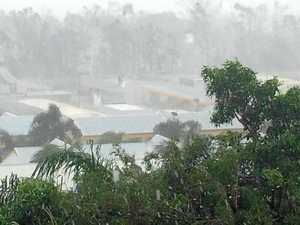 News RESIDENTS in the firing line of Cyclone Debbie have been warned they face an agonising and hellish wait for the worst of the storm fury to pass.